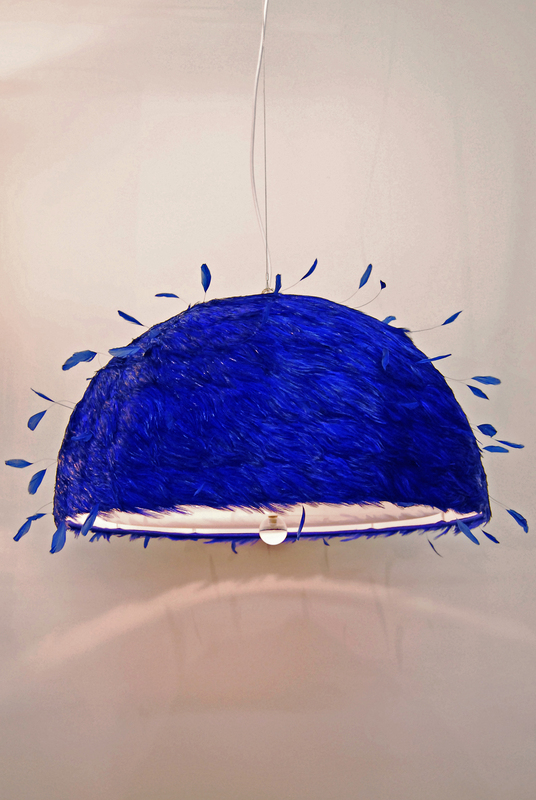 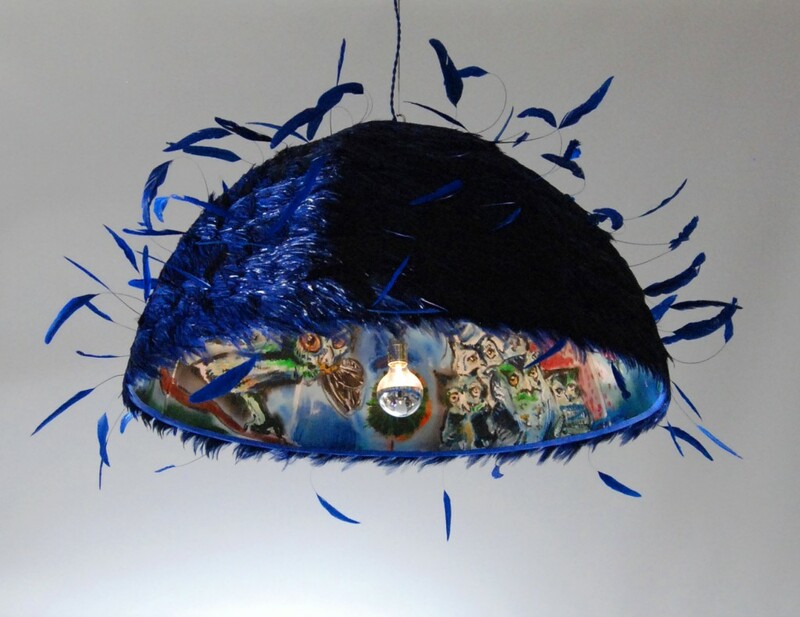 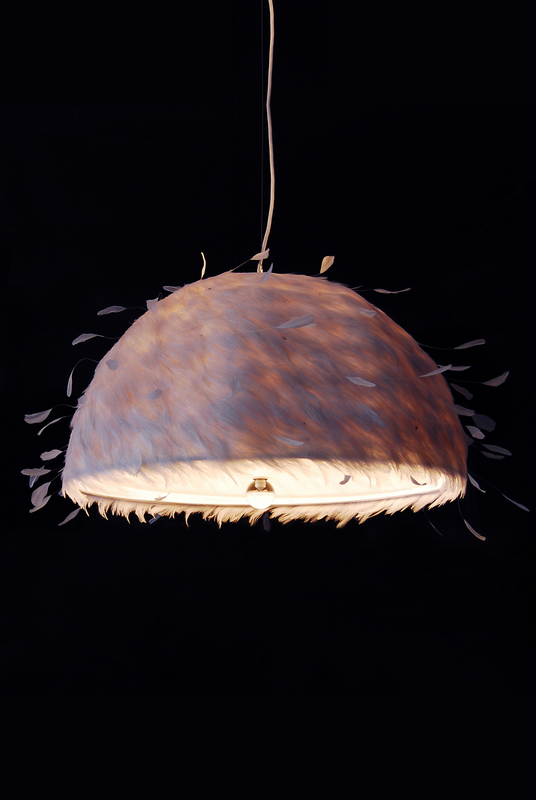 Hemisphere silk shade with blue goose feathers and blue coque feathers. 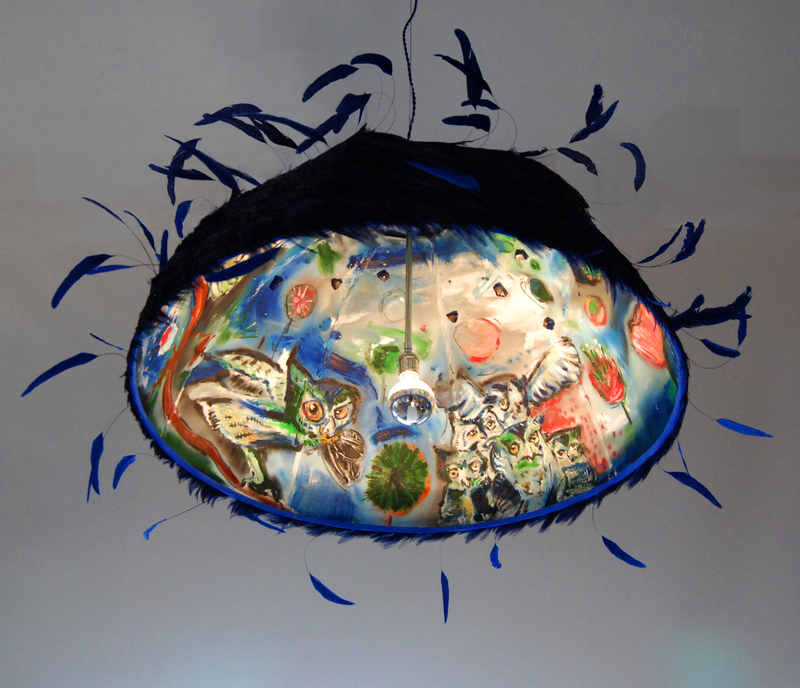 Owl mural interior by New York artist Scooter LaForge. 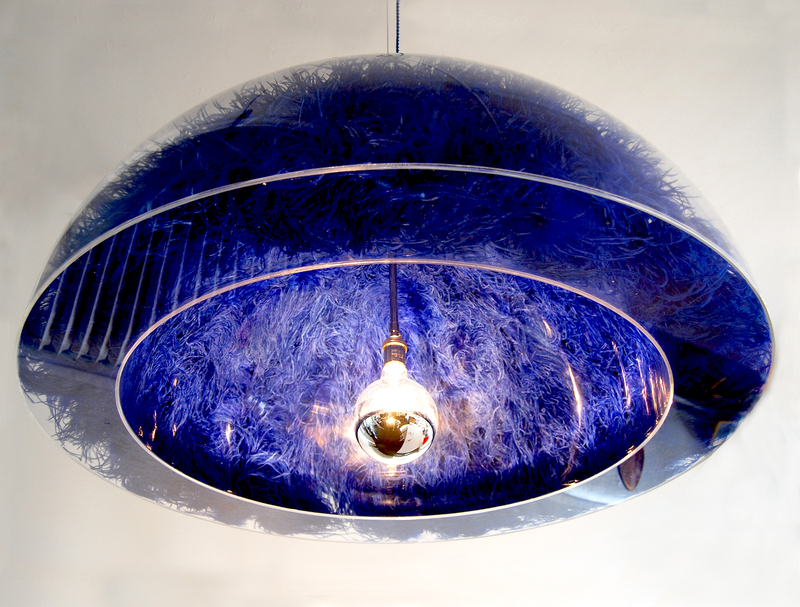 Lit by one half-silver bulb. 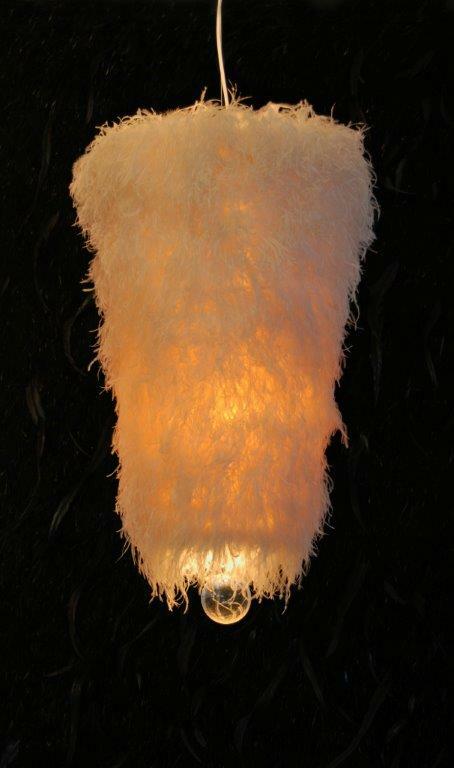 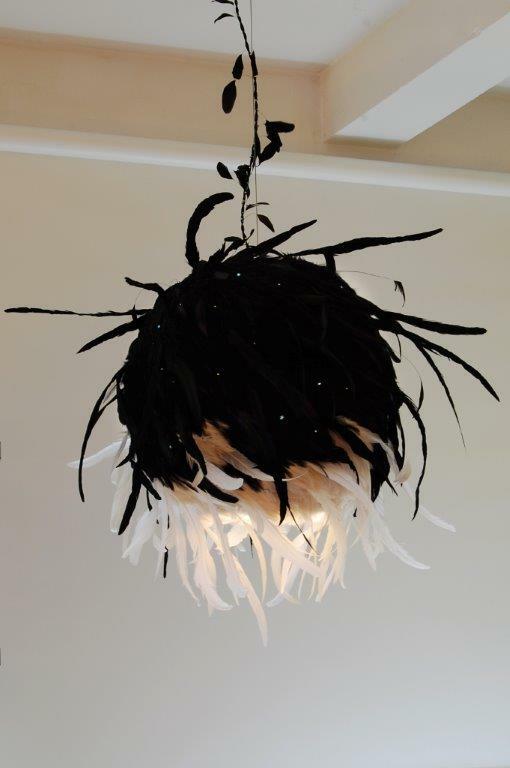 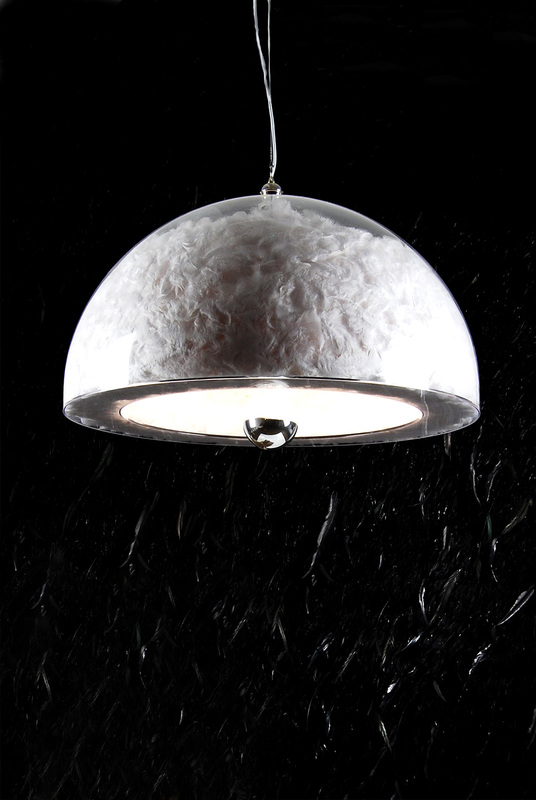 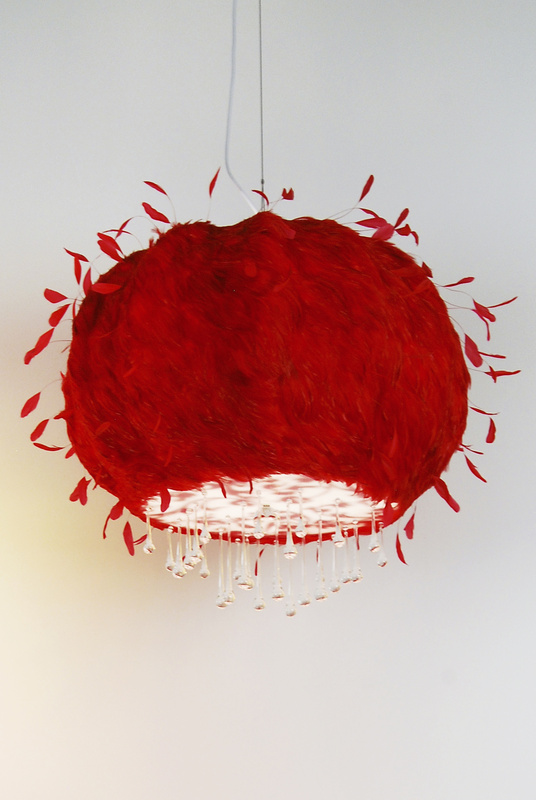 White ostrich feathers attached to a white silk globe shade. 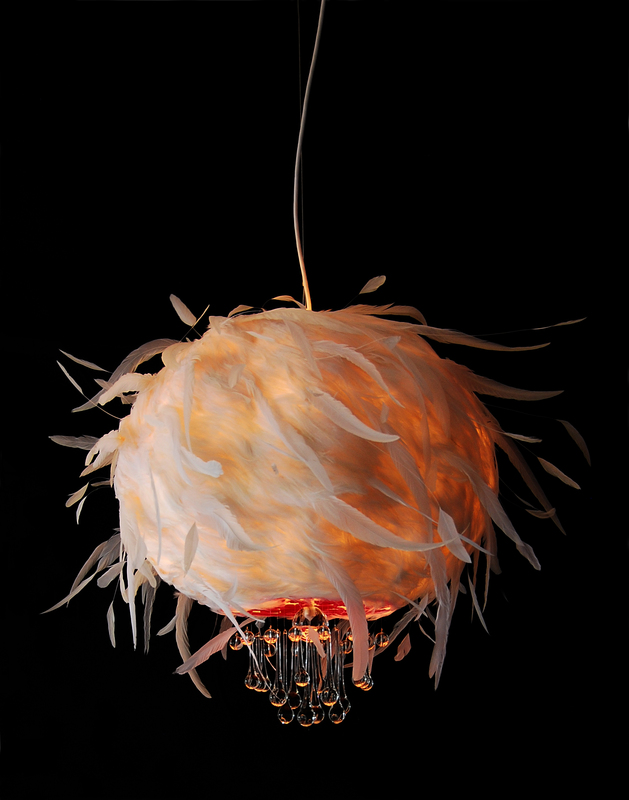 Internally lit with an incandescent bulb. 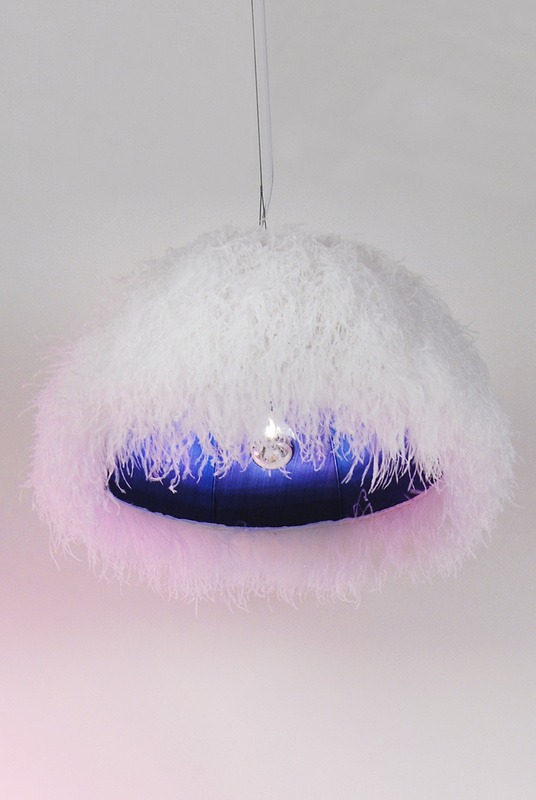 Hemisphere silk shade with blue goose feather and blue coque feathers. 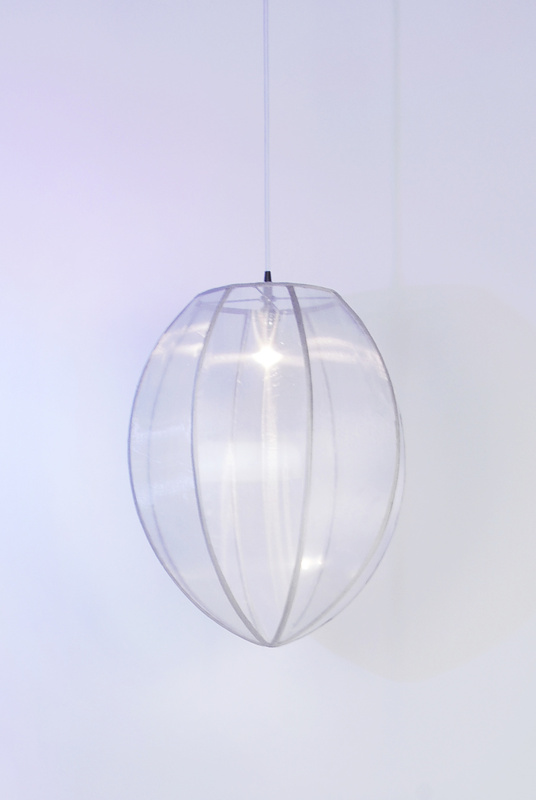 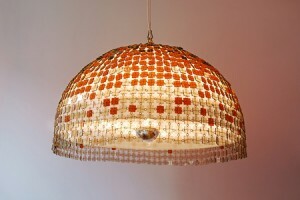 White bottom diffuser held in place with a clear acrylic ball. Internally lit with 3 incandescent bulbs.